Election is nearby and many investors are in confusion state whether to buy more stocks or move out from stock market. Well to address this confusion Edelweiss brings us 25 Election proof stocks. These stocks will surly give good return despite of elections, Edelweiss Chairman, CEO Rashesh Shah confirmed in interview with CNBC, Awaaz. Edelweiss is one of India’s leading Financial Services Groups, with operations that span more than forty different lines of business and subsidiaries. 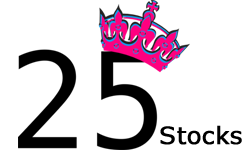 We are herewith detail of 25 Election proof stocks. As per Edelweiss these stocks are evergreen and election proof stocks. Do share your views in Comment section!